what do you do with your art collection when it’s time to rightsize? what do you do with your art when your family doesn’t want it? Art is a statement of what we appreciate or find beautiful. It can also be an investment, depending on the market. Unfortunately, too often we have seen our clients’ dismay at learning that the landscape painting on their wall is worth less than what they thought. 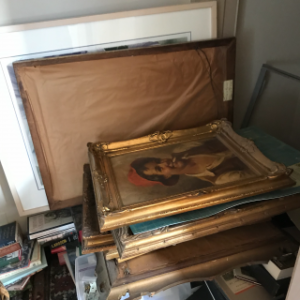 Finding a hidden gem (like an unknown Rembrandt) rarely happens. So, what do you do with all your art? 1. Get it appraised by a reputable source. As the saying goes: “all that glitters is not gold.” Labels and outward appearances are not always accurate. 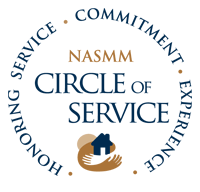 We recently had this happen to one of our clients. 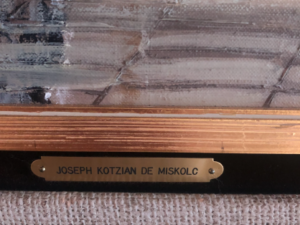 The brass label on the frame did not match the painting. Labels are not a definitive method to identify a piece. 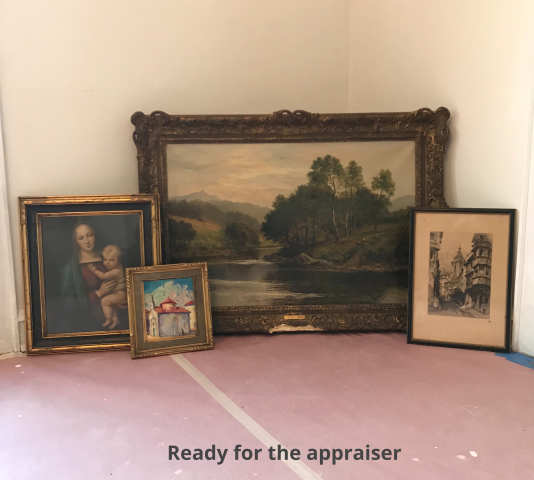 An appraiser is the best way to go and CMFTO has a deep resource list of reputable appraisers. 2. Identify and know the market. Art has trends just like fashion. What’s popular today may not sell tomorrow. And vice versa. Something that had a high auction value ten years ago, may now be lower today. In other words, not all art appreciates in value. 4. Finally, double-check with family and friends. Even though you may have already asked, it doesn’t hurt to ask again. 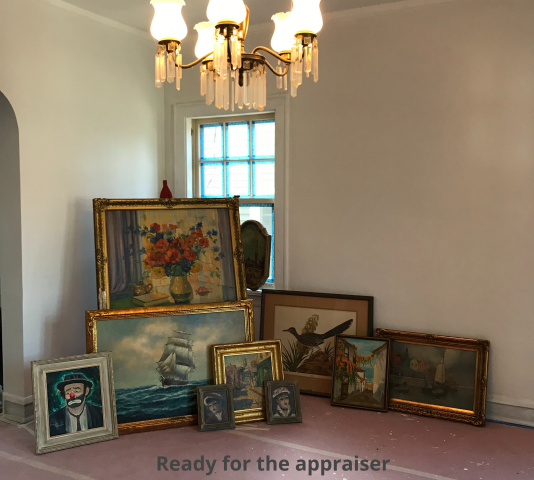 Once the art has been appraised, you know the market, and you’ve made arrangements for what can sell, double-check with family and friends to see if they want anything. We’ve seen family members change their mind throughout the process. It’s often not about the monetary value, but the value a piece holds in someone’s heart. Once you’ve selected your favorite pieces to keep and cherish, you now know what to do with the rest of your collection. If you have any questions, please contact us. We have an extensive list of resources to help with every step of the editing process.